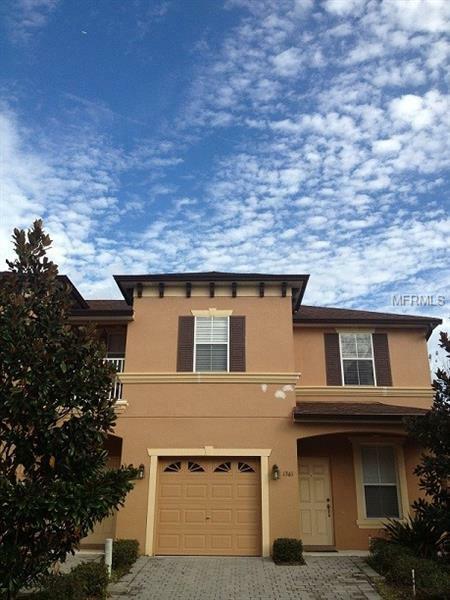 This nice three bedroom townhouse is located in the gated community of Retreat at Twin Lakes just minutes to the Seminole Mall, I-4 and Lake Mary shopping and dining. It includes a spacious floor plan three bedrooms/two bathrooms upstairs and a half bath downstairs with carpeting and ceramic tile throughout, a fully appointed kitchen with stainless steel appliances and granite counters, living/dining combo, vaulted ceilings, nice master suite with big garden tub, patio, alarm system and one car garage. This gated community also features a clubhouse and sparkling pool.